Emma and her little sister Sophie are sharing a new book together when they find themselves being sucked into the story. 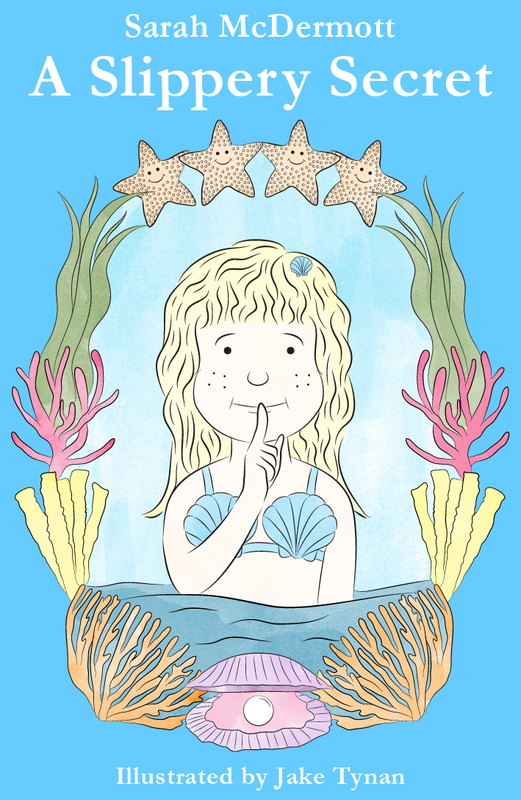 The girls plunge into a magical underwater world where they are transformed into beautiful mermaids. After meeting up with two old friends: Gerald the Searaffe and Colin the Catfish, they soon learn that this peaceful kingdom is under threat from a grumpy shark called Siegfried who is suffering from chicken pox. The sisters bravely agree to meet him but quickly discover that he is the least of their worries, as the evil Dr Gus the Octopus is trying to steal Siegfried’s treasure. Joining forces, the friends come up with a plan to save the treasure. And in doing so they manage to catch the real thief, their old enemy, Finley Fartwhistle! It’s a successful end to another secret adventure. This full colour illustrated first chapter book is the sequel to A Sweet Secret. It is a story about the relationship between two sisters and about the importance of working together. Sarah worked for twelve years as a highly successful teacher of modern languages and Head of Department, gaining an MA in Education, before taking a career break to start a family. She has since taken the opportunity to develop her passion for writing. As well as being a busy mum, Sarah is also an avid reader, a reluctant runner and an eternally optimistic baker! Sarah lives near Sheffield, on the edge of the Peak District, with her husband Andrew and their two beautiful daughters Emma and Sophie – the inspiration behind her children’s books.